Meet Rachel Warbelow, a community member in the Las Vegas tech scene. Rachel Warbelow grew up in Fairbanks, Alaska and went to school at Indiana University, majoring in cello performance and journalism. She explains that she’s always been obsessed with data. During the past seven years of teaching, she has been meticulous about tracking student academic, behavioral, and attendance data on spreadsheets. SWOTBot tracks homework, attendance, grades, positive behavior, behavior challenges, and detentions. Students and parents have access to their own accounts where they can see student data and directly message teachers. 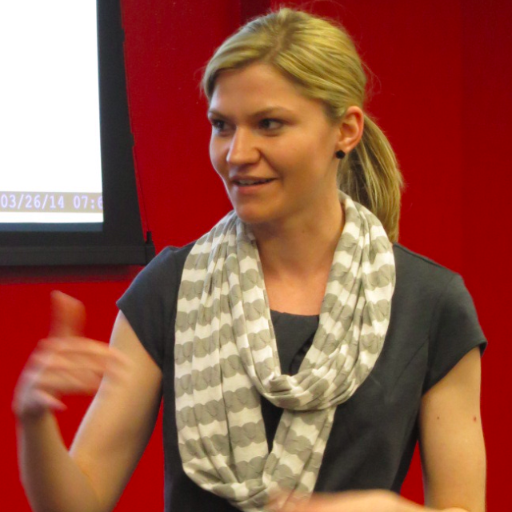 If you are interested in learning to code and live in Las Vegas, she recommends attending the Las Vegas Ruby User Group. The group meets Wednesday nights at The Innevation Center and is organized by community members. “It caters to everyone, from beginners to professionals. The hacknights are great for beginners, whereas the presentation nights are geared toward more advanced topics. There are several other tech-related groups on meetup.com. I haven’t had a chance to check them all out, but I’ve heard great things about several of them,” Rachel Warbelow explains. 1) Acknowledge what you’re getting into. The learning curve is very steep, so know this ahead of time and don’t get frustrated when you realize you’ll always have more to learn. 2) Don’t be afraid to ask for help. “I haven’t met a single person in the tech field who wasn’t willing to help,” she says. 3) Focus on learning one language at a time. If you master the basics of one language, it will be much easier to transfer those skills to another later on.